We ended up staying in Myanmar for a total of 23 nights, so a good three weeks. Depending on how fast or slow you travel, our route can be completed in three weeks or can easily be extended to four weeks. 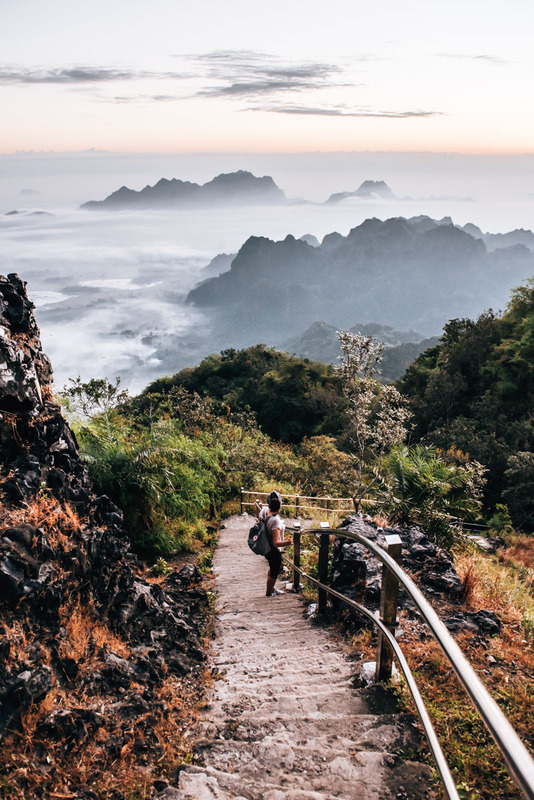 If you are planning to travel to Myanmar and are looking for the right combination of adventure, nature and chill time on the beach, this article is for you – so read on and we hope you’ll be inspired! Just a little note: Our itinerary for Myanmar is designed so that most of the routes can be reached by bus or train as much as possible. We only used planes if the distance proved too long and/or the journey was too cumbersome (eg. lots of stopovers or super steep winding mountain roads). We thought that was a good way to go about it and get the best of both worlds, while avoiding potential bus sickness incidents on the mountains. Would totally recommend having a good combination of both. Like most people, the starting point of our Myanmar trip was Yangon, the central hub of international flights. In our opinion, it’s an excellent place to start with so much to see. While we stayed for three nights here in Yangon, we would recommend at least two nights to fully appreciate what Yangon has to offer. The chaos of the former colonial city may be overwhelming at first but there is also a great deal to discover in Yangon. 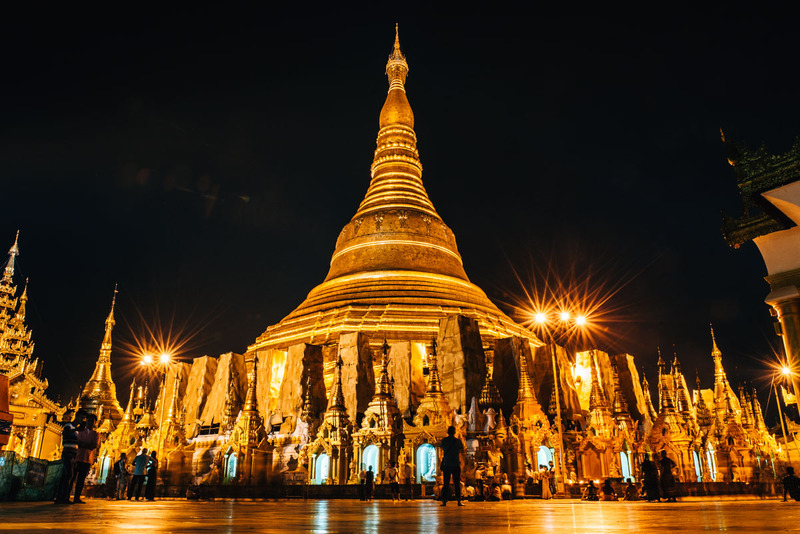 One of the most important Buddhist shrines in the world can be found here: the Shwedagon Pagoda. To see it in its entirety will simply take your breath away. Price: We paid 35 Euros per night for a double room. Conclusion: this place is definitely good value for money, especially considering its location – situated on the western edge of the old town, where most of the attractions are within reasonable walking distance. The rooms were relatively small but very cozy; while the bathroom looked a little run down and in our opinion could do with a little renovation; however the bed was nice and comfy, which was a plus! The breakfast was unfortunately very average and sadly a little dull; but we do have to commend the staff for being incredibly friendly and helpful. At first, Bago wasn’t even on our radar. 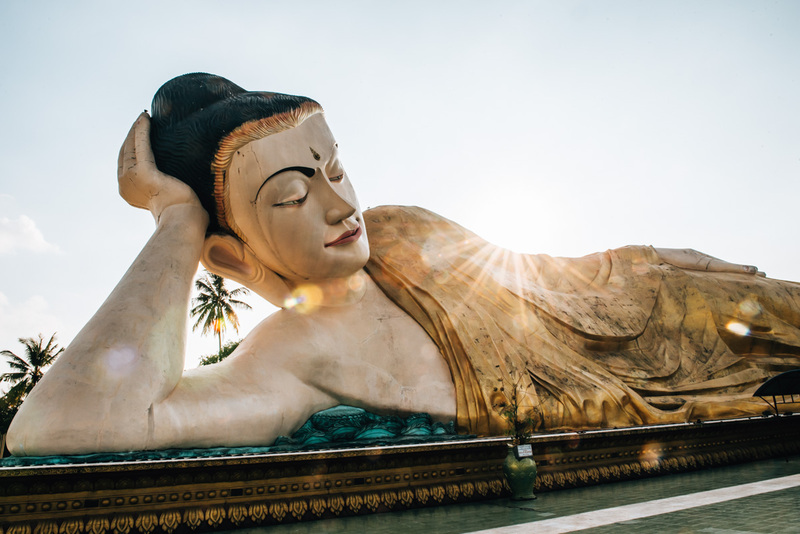 We were actually headed towards the Golden Rock and spontaneously decided to squeeze in a night here in Bago, as the city is historically very significant and there are so many temples and pagodas to see around the area. Among the major attractions are the Shwemawdaw Pagoda, two gigantic reclining Buddhas and the four Buddhas of Kyaik Pun (Kyaik Pun Pagoda). Although we had a good time in Bago, it’s one of those places that, if we had to choose, this is the one we’d most likely leave out. To us, the major highlights were just missing a little something, however, in saying that, it’s still definitely worth a stop over! We’d recommend one night max if you do decide to visit. We started exploring immediately after arriving at noon and it was no problem fitting everything in. We decided to take the train from Yangon to Bago, which only cost us 1,000 kyat for a good two-hour journey. Despite the train’s snail pace crawl, it still ignited that excitement for adventure, riding off into the distant landscape… We would choose train every time if we could! Train tickets can be easily bought at the Yangon Central Station before boarding. There are several trains going from Yangon to Bago daily, we chose to board the one at 9 am, which left almost exactly on the dot so best to be punctual. Another alternative is going by Bus. The journey is actually a little shorter than the train route (surprisingly) and so is a little more expensive, but still very cheap and affordable. Price: We paid 66 euros per night for a double room (above average for accommodation as the cheaper options were unfortunately all booked out). Conclusion: Our room was really big and beautifully clean, we felt very comfortable there. However, the breakfast was very mediocre and the hotel restaurant wasn’t all that impressive in our opinion. 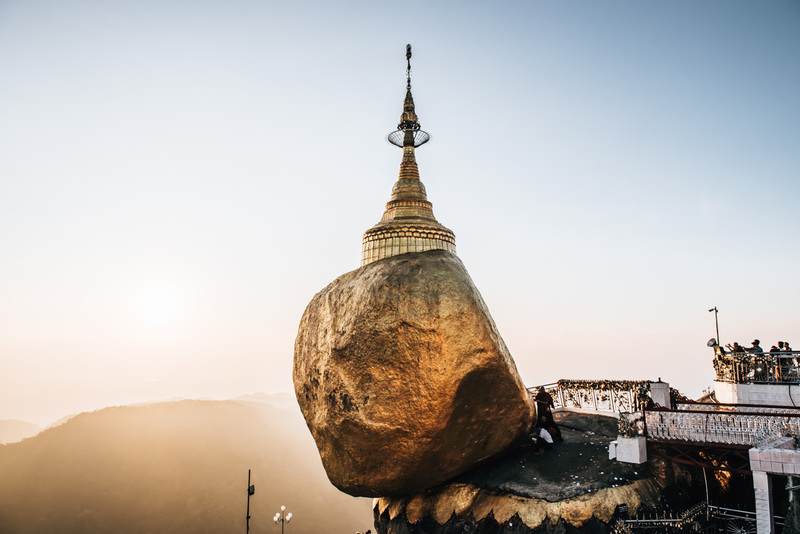 The Golden Rock is one of the most important Buddhist sanctuaries in the country. Here, you’ll see masses of local Pilgrims making their way up, in which case, you’ll notice that Western travellers are still very much the minority. We definitely expected more tourists, but on the other hand it was really nice to be a part of such a culturally significant journey. The rock itself is very impressive, perched upon a mountain peak, laced in gold. Despite finding it somewhat less astounding than we imagined at first, we found ourselves reluctant to leave as the sun started setting and the golden lights echoed though the mountain landscapes, leaving us speechless and in awe of this wonder. The journey from Kinpun to the Golden Rock is where all the adventure and action happens! You will find yourself, with no other alternatives apart from walking, on the back of a rickety looking truck for 45mins as it ascends up the winding mountain at such a pace, you are subjected to playing corners against your own will. Price: 2,000 kyat per person. Heads up: The last truck leaves the mountain at 6pm and this is the last ride back to Kinpun! We actually searched for other ways to get to the mountain summit that doesn’t involve crazy winding dirt tracks, but apparently this is next to impossible. Since the roads are so narrow, there is a one-way policy where only one direction is allowed to drive, while those going the opposing direction have to wait until it’s their turn again. From this rather chaotic system, the trucks were established as a way to create a little more order on the mountain roads. Price: We paid 33 Euro per night for a double room. Conclusion: Our room, which was of the lowest standard, was on the ground floor. It was dark and damp, which is a pity because we actually really liked the Resort as a whole and the staff were super friendly. Breakfast was also above average for Myanmar standards, so the only thing we’d suggest if you stay here, is to scout out the rooms first or maybe take a more ‘superior’ one. Hopefully you’ll end up with a better room! After seeing some photos on google, we realised we had to see this unique rocky landscape with our own eyes to believe it… and it certainly did not disappoint! Hpa An was actually one of the most beautiful stops on our trip through Myanmar. One of the most stunning views can be found on the summit of Mount Zwegabin. After an adventurous hike, we were rewarded with the most magnificent view expanding over the Karst rock landscapes. We also really enjoyed exploring the villages in Hpa-an with our rented scooter. On top of that, there are also plenty of caves to discover. We only stayed for 2 nights in Hpa-an but wish we could’ve stayed longer! From Kinpun we took a bus to Hpa-an, which took 3.5 hours and cost 7,000 kyat. This also included the transport from Kinpun to Kyaikto (about 25 minutes in an open taxi). Since the bus comes from Yangon, stopping in Kinpun would be a bit of a detour, so they stop in Kyaikto instead. Price: We paid 140 euros per night for a bungalow. Conclusion: Keinnara Hpa-An is currently (as of December 2017) the most beautiful and expensive accommodation in Hpa-an. We felt incredibly at home and welcomed from the very first moment. There are only 19 “cottages”, all of which are very spacious. This place is a little haven especially given there is a pool overlooking the Karst Rock cliffs – what a treat! Breakfast was also served in a fantastic ‘à la carte’ style. Can definitely, hands down recommend Keinnara Hpa-An if you want to bath in a little luxury during your stay. Taungoo had long been on our list, ever since Romeo’s brother, Moritz, visited a few years ago and told us how amazing it was! 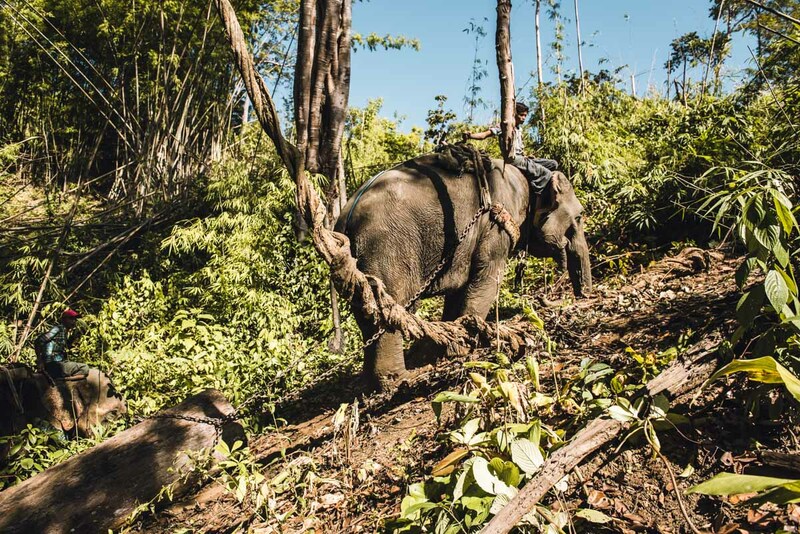 In the area around Taungoo, it’s common to see elephants used for heavy labour in the jungles such as dragging heavy logs. No doubt, this is very questionable in terms of Animal Welfare – we were also rather skeptical and quick to criticise at first. However, this ‘partnership’ ensures the survival of people here and the locals have a very close bond with the elephants. It is not a cruel enslavement and should be mentioned that the elephants are not kept captive, or against their will, as is the case in zoos and animal parks. They are in fact, released every day at noon back into the jungle where they are free to roam as they please. At the end of the day, you won’t feel like a ‘tourist’ but more of a passer-by, privileged to gain such an ‘up-close’ hands-on perspective of how the local people here live. We took the night bus from Hpa-An to Taungoo, which cost 8,500 kyat per person and left Hpa-An at 6pm for an 8 hour long journey. After arriving in Taungo at 2am in the dead of night, we wearily made our way over to our Guesthouse. Despite our bartering efforts, we were hard pressed to find anything under 6,000 kyat for a 10min motorcycle taxi ride. Price: We paid 25 euros per night for a double superior room. Conclusion: Even though we didn’t exactly take fancy to the dark teak wood decor, we still felt very comfortable and took a liking to this place. The accommodation is mostly family run and the staff here strive to make your stay as pleasant as possible. We’d highly recommend booking a room on the upper floor overlooking the rice fields. However, despite the recently completion of the hotel, some parts were still under construction during our stay (December 2017) which, to our dismay, did disrupt the tranquility and atmosphere a little. Bagan is, without a doubt, the tourist magnet of Myanmar and definitely owns up to its reputation! Boasting thousands of temples and pagodas, it’s difficult to describe the magical atmosphere of this extraordinary place. We had an absolute blast riding the e-scooter from pagoda to pagoda, sometimes even finding ourselves climbing up a few to find the best sunset and sunrise spots. 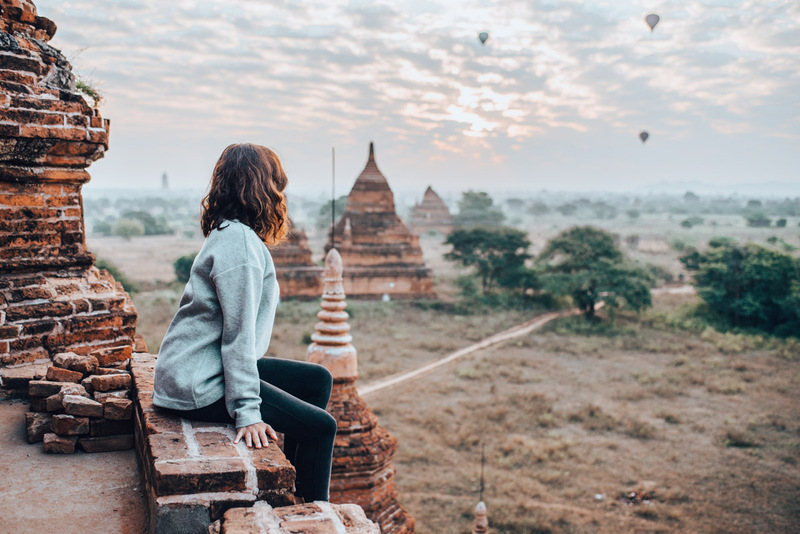 We spent three nights in Bagan and saw an incredible amount in that time! Mind you, we were constantly on the road scouting for interesting places to explore. The journey from Taungoo to Bagan proved to be the worst night bus experience of our life thus far. The bus had an average temperature of 17 degrees and we basically froze the entire 6 hours as if we never left European winter. On top of that, we paid 22,000 kyat per person, which in our opinion is rather high. However, the price did also include the transportation from Taungoo to the main road (20 minutes). The night bus actually departs from Yangon and stops in Taungoo around 10pm, so we arrived in Bagan around 4:00am. Price: We paid 37 euros per night for a standard double room. Conclusion: The Myanmar Han Hotel was definitely one of the best value hotels, with relatively spacious, modern and clean rooms. Not to mention the staff were an absolute dream and could not have been more friendly or welcoming. The “additional services” (such as laundry and scooter rental) were also quite cheap, but we were most grateful for the fact that they let us check in at 4:30am in the morning, without any additional charges! This literally never happens so you can imagine how thankful we were, especially after such an awful night on the bus! The only slight drawback to this hotel is its location, it takes about 20 mins by scooter to the nearest temples – but easily overlooked as the rest was a thumbs up! Mandalay is probably on par with Yangon as one of the most popular start or end point for trips in Myanmar. We spent three nights here with one full day dedicated to sightseeing in Mandalay and even visited the Mandalay Hill. The second day we explored the surrounding areas and admired the beautiful sunset down by the famous U-Bein Bridge. We went from Bagan to Mandalay by bus for 9,000 kyat. Well, to be exact, it was actually a mini bus with only about 20 seats, and they run several times a day. We left around 12pm and arrived 5.5 hrs later in Mandalay around 5:30pm. Price: We paid 40 euros per night for a standard double room. Conclusion: Overall, we were very satisfied with our stay. The rooms were super comfortable and you can treat yourself to the rather extensive breakfast buffet in the mornings. This was another spontaneous unplanned destination as we had heard it’s now swarming with tourists and the journey over the country road just too cumbersome. But for some reason, we felt like going so we searched up some flights and spontaneously booked a ticket. Did we regret it? Not at all! 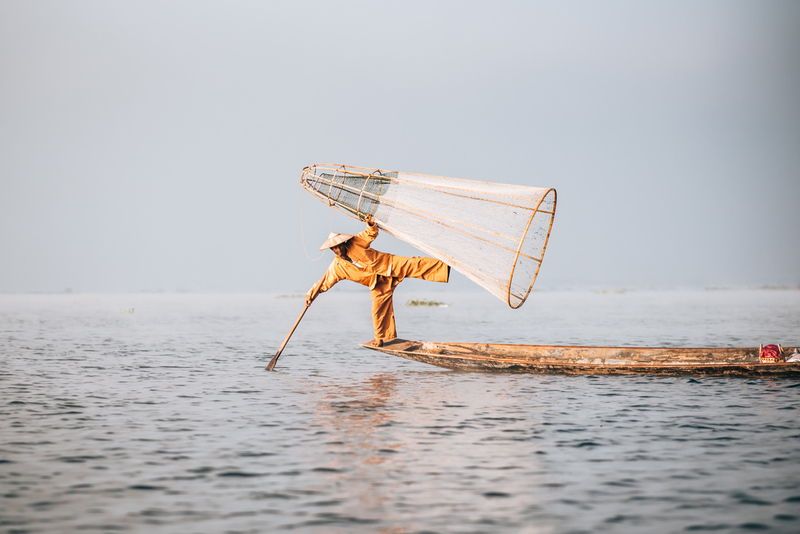 Lake Inle is simply huge and it was very insightful getting to observe the local life of villagers on the water. We stayed a total of three nights and spent Christmas there too. In case you’re short on time, two nights should also be enough. The nearest airport is Heho and from there the flight only takes 25 minutes. We paid 50 euros per person (with Myanmar National Airlines). From Heho Airport it takes a good hour by car to the Lake. The ride will cost you about 40,000 kyat, unless you find people to share it with, which we did with a couple from America, so we only ended up paying 10,000 kyat per person. Price: Normally, rooms cost about 140 euros per night. However, we were fortunate enough to have partnered up with Novotel who invited us over for a wonderful stay. Conclusion: The Novotel is beautifully located on the lakefront. The rooms are simply gorgeous, we had a bungalow on the water and the interior design was just spot on. They’ve left nothing out and even include an extensive breakfast. You can also admire the most beautiful sunsets down by the docks of the hotel – seriously, what more could you ask for!? We would highly recommend this hotel if you want to treat yourself to a bit of luxury. At the end of our trip to Myanmar we wanted to spend a few quiet days on the beach. Although Ngapali is Myanmar’s most famous seaside resort, the beaches are deserted when compared to those in Thailand. Ngapali consists of two beaches, where you can find hotels and beach restaurants scattered along. Nightlife or other attractions however, are a rare sight. The dreamy beaches here are the main focus point, so most tourists come here in seek of solace and relaxation. 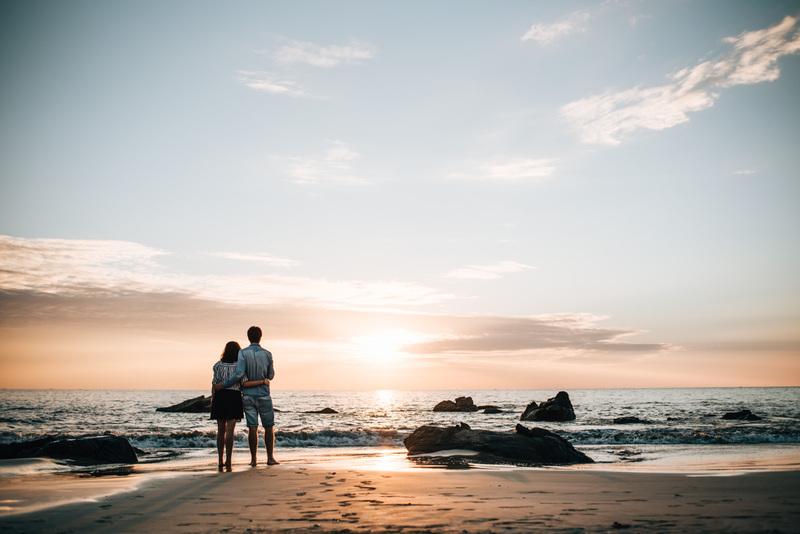 The light sand is delicately fine and you’ll notice most of the beach areas are very clean, it’s because they are cleaned by the respective hotels in that area to maintain a pleasant beach for their guests. By bus, Ngapali is a tedious and long journey to reach. So we decided to travel by plane instead. We took a direct flight from Heho (Lake Inle) to Ngapali, which took less than an hour and only cost 90 euros per person. From the airport (Thandwe) it’s only a few minutes ride to the hotel. Note: Accommodation prices in Ngapali are generally well above the Myanmar average, as the hotels located on the beachfront are painfully expensive. So we decided to find a place on the main road, which of course, comes with the disadvantage that you can’t rent chairs or umbrellas here (as of December 2017). Conclusion: Compared to other accommodation in Ngapali, the value for money at May 18 Guesthouse was just perfect. The rooms are a little tight on the storage space but are big enough and clean. The owner is extremely helpful and eager to help, and the staff were also incredibly friendly, making us feel very welcomed here. Even though we didn’t have that direct beach access, we gladly accepted the price as it was really well worth it. Tip: ask for a room on the upper floor, which are brighter and encompass somewhat of a happier atmosphere. From Ngapali, we flew over Yangon back to Bangkok. There were certainly a few more places we would’ve like to have visited (eg. Myeik in the south or Mrauk U in the northwest of the country) as they’d also peaked our interest. 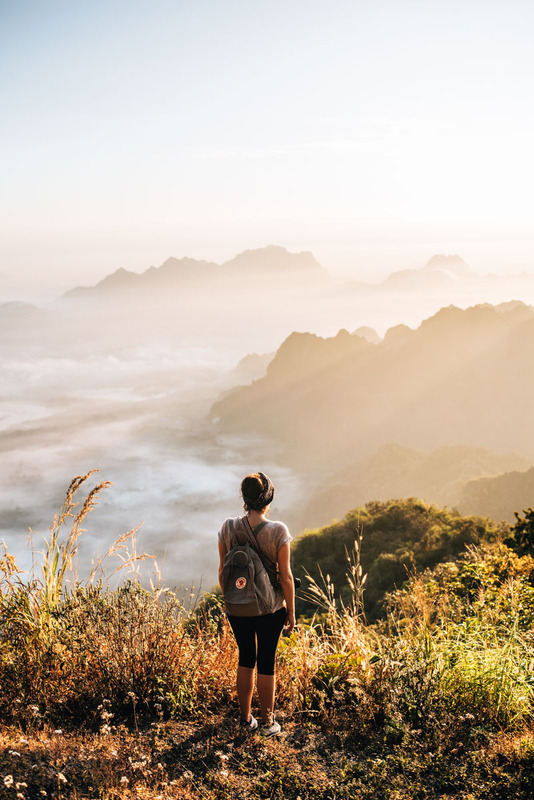 Nevertheless, we were more than satisfied with our itinerary through Myanmar and retrospectively, can recommend our route to anyone travelling through Myanmar for the first time. This article contains affiliate links, so if you book or buy something through these links, the price will remain the same for you, but we will receive a small commission so that we can keep operating this Blog for you! Thank you for your support! 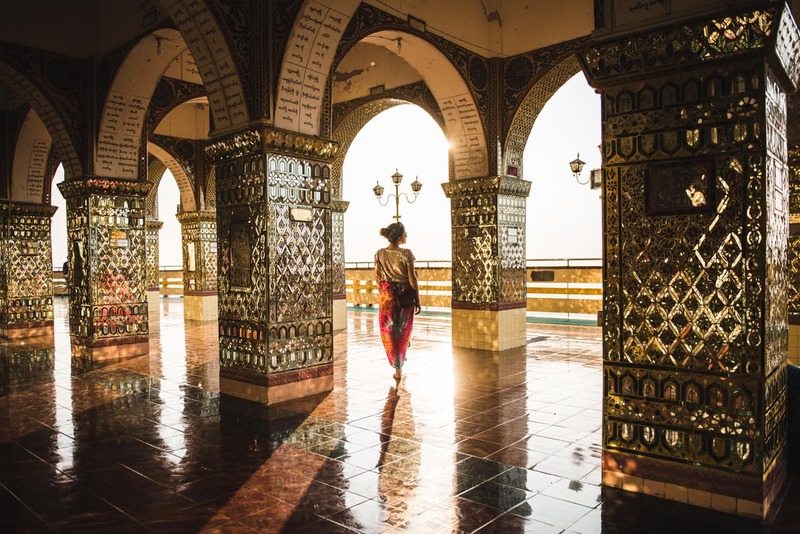 Have you been to Myanmar before? Which routes did you take? 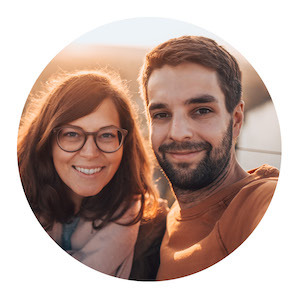 We look forward to hearing your experiences!